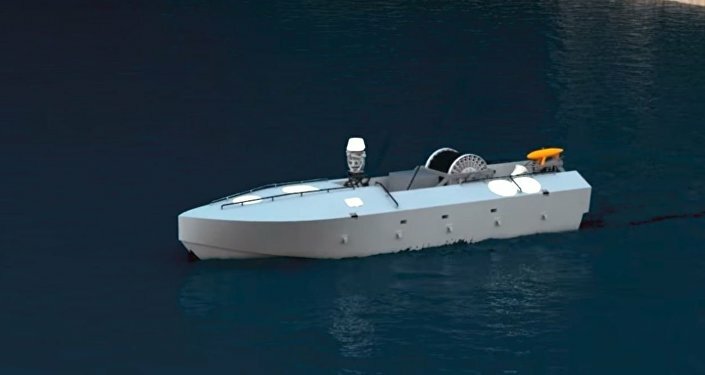 The Sea Hunter is designed for anti-submarine warfare and could revolutionize naval warfare as it is "the first of what could ultimately become an entirely new class of ocean-going vessel able to traverse thousands of kilometers over open seas for months at a time, without a single crew member aboard," DARPA said in a January 30 announcement. While it's not clear when the Office of Naval Research will transfer the ship into the regular fleet for everyday operations, DARPA's statement hints that it could be integrated with the rest of the US Navy by the end of the year. The Sea Hunter's name is somewhat misleading as to the vessel's capabilities. The 127-foot-long ship is outfitted strictly for surveillance and is not equipped with any weapons, due in large part to the fact that it has no human at the helm. In a 2016 interview with Reuters, former Deputy Defense Secretary Robert Work said, "there's no reason to be afraid of a ship like this." Nevertheless, the vessel's creation marks a significant turning point in how the US Navy operates. Likening the world's oceans to a chess board, Fred Kennedy, tactical technology office director at DARPA, said, "the US military has talked about the strategic importance of replacing ‘king' and ‘queen' pieces on the maritime chess board with lots of ‘pawns.'" Ultimately, the Sea Hunter "represents a new vision of naval surface warfare that trades small numbers of very capable, high-value assets for large numbers of commoditized, simpler platforms that are more capable in aggregate," Kennedy said. The ship is far cheaper to construct than many naval vessels, with a price tag of only about $20 million, according to Digital Trends. By comparison, an Arleigh Burke-class destroyer, the US Navy's present anti-submarine surface vessel, costs a cool $1.8 billion.